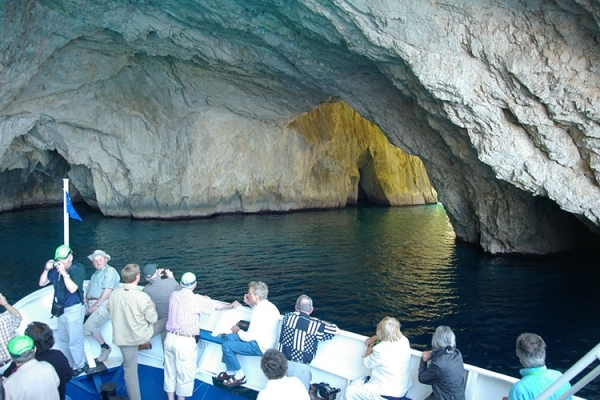 A unique change to visit in one day, two islands of the Ionian Sea in the southern part of Corfu. 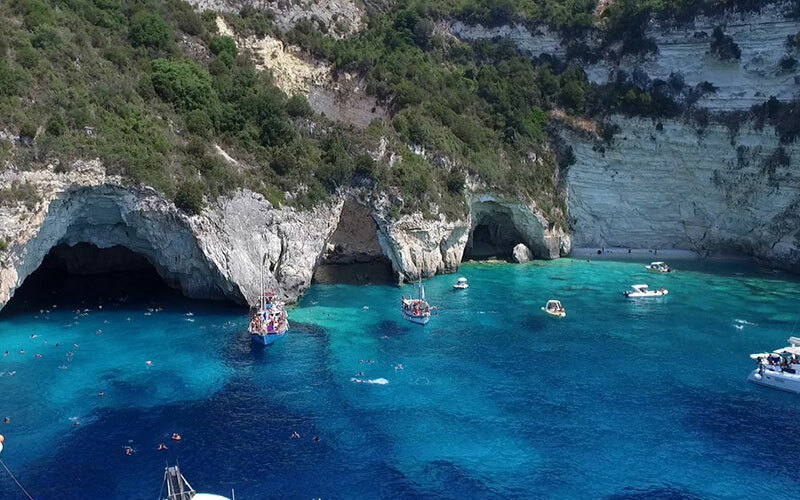 The island of Paxos, with its famous Blue Caves, and the island of Antipaxos, with its sandy beaches and the crystal waters. 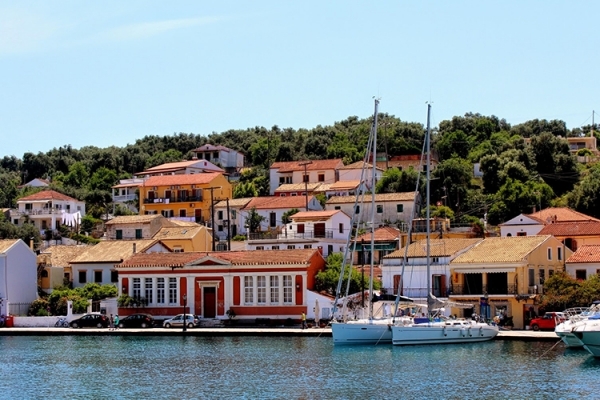 Sailing along the coastal region of the island of Corfu and approaching the canal between Corfu and the island of Paxos, this verdant island is appearing in front of your eyes. 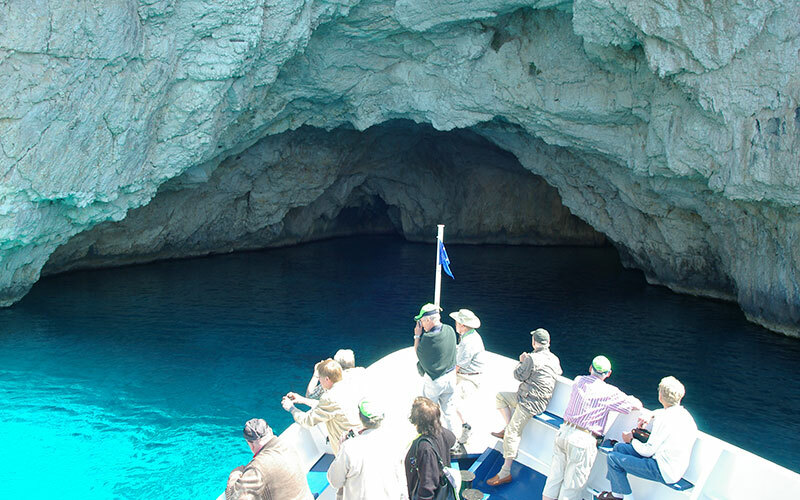 After a while the spectacle of the imposing caves of Paxos, sculptured naturally by the waves and the wind, will take your breath away. Meanwhile you will be impressed by the continuous alternation of the water colour from light blue to deep emerald. 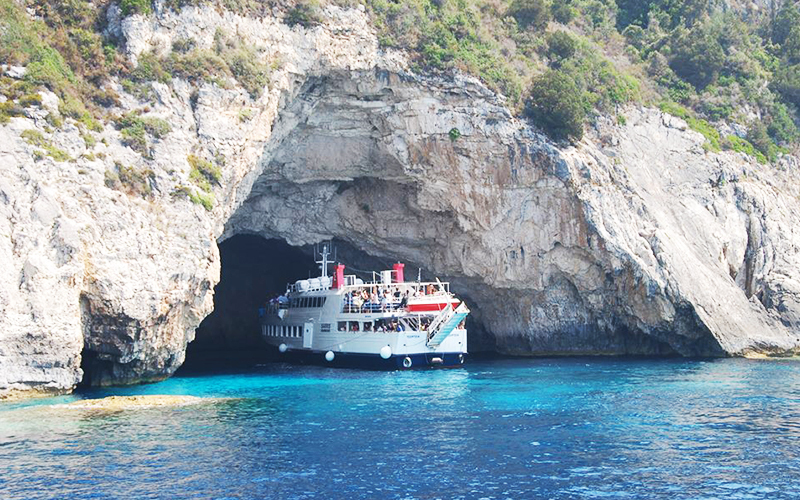 Next destination the small island of Antipaxos. As the island is not provided with a port, the ship is approaching the coast, as close as possible, so you have the change to enjoy the view of dreamlike beaches. For those who can't resist the temptation, there's time for a swim in the crystal water. 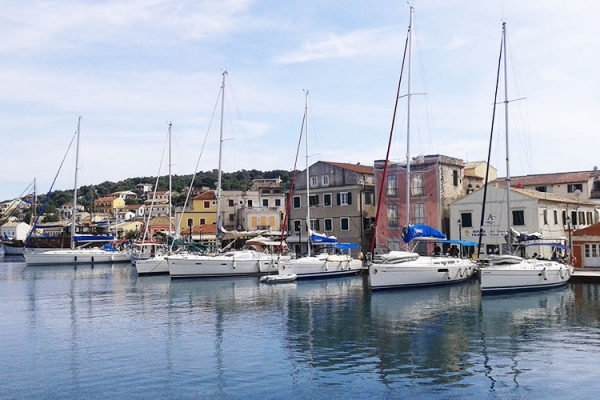 Leaving this unique and extremely beautiful island of Antipaxos and crossing the natural canal, which looks like a small fiord, the ship enters the port of Gaios, the capital of Paxos. There's time for strolling through the narrow streets or dining in a local traditional restaurant. Alternatively, you can enjoy your coffee in beautiful cafes looking out over the islet of Ag.Nikolaos and the coast of the mainland of Greece. All that as the water of the canal continues it's never ending course! Departure from Corfu Port at 09.00. After two hours the boat approaches the Blue caves of Paxos at the east side of the island. 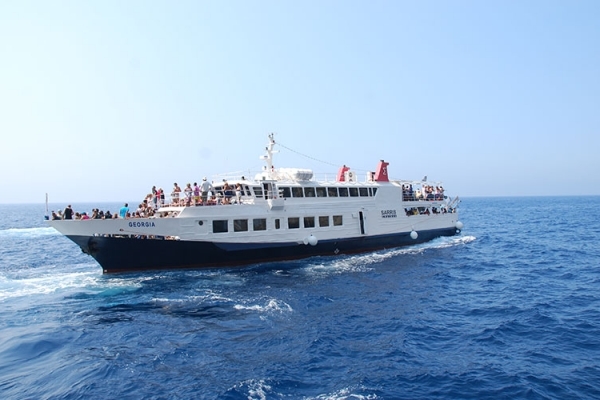 At about 12:00 the boat reaches Antipaxos island and approaches the beach for swimming, and remains there for about half an hour. 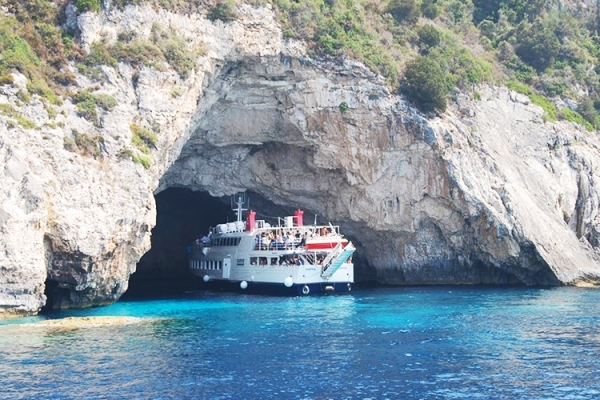 Final destination the island of Paxos around 13.00. 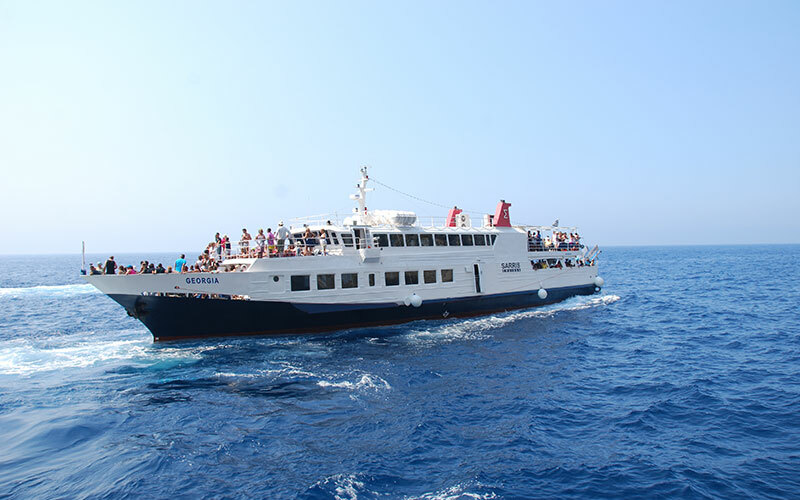 Departure from Paxos at 16.30. Arrival at Corfu Port at about 19.00.